Dr Gerald Kaplan qualified in 1970 as a dentist at the University of Witwaterstand, Johannesburg, South Africa. He spent 4 years in general practice in Johannesburg before advancing his studies at the prestigious Boston University School of Graduate Dentistry (BUSGD) in Boston, Massachusetts. 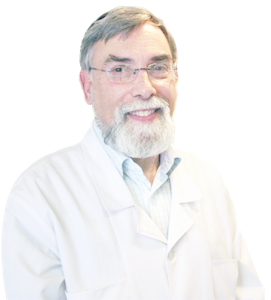 In 1977 he completed his studies there with a “Certificate in Advanced Graduate Study” and a “Master of Science in Dentistry”. BUSGD is still to this day recognised to be one of the finest schools of dentistry in the world. Many of its students are leaders in the dental profession throughout the world. On his return to South Africa, Dr Kaplan was appointed as a senior part–time lecturer in the department of conservative dentistry at the University of Witwatersrand and held this position for several years before returning to full-time private practice. He has taught many dentists who today are prosthodontists themselves. He regularly participates in ongoing continuing education courses both locally and abroad, to remain at the cutting edge of the profession. He has presented lectures at major dental meetings and study clubs and continues to actively teach and share his knowledge and vast experience. Honorary Treasurer of the Prosthodontic Society of South Africa (PROSSA).